Birthday cake is all the rage when celebrating, however, when it comes to my little man, he’d prefer to pass. Each year when his birthday comes around, I try to come up with a dessert that will tickle his fancy. This year he mentioned cookies. 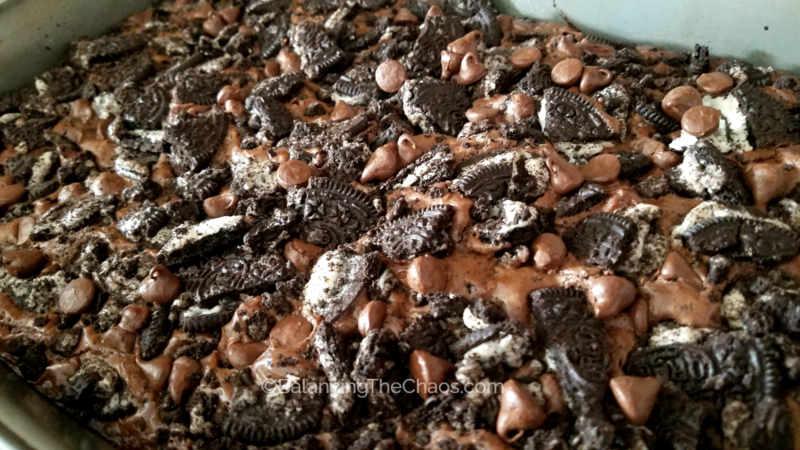 Since he LOVES Oreos, I decided to up my game with easy Oreo Chocolate Fudge Brownies. 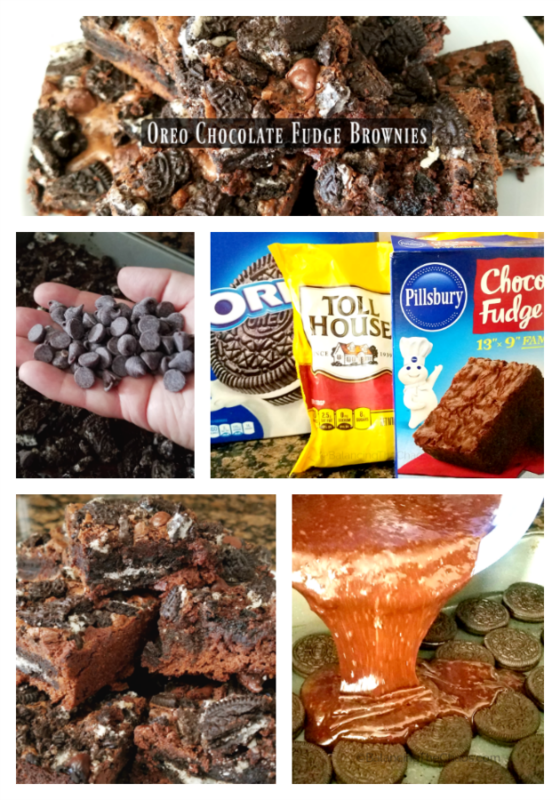 For our easy Oreo Chocolate Fudge Brownies wChocolate Fudge Brownies Recipe e had a few of the ingredients on hand including a Costco sized box of Oreo cookies, but a standard package from the grocery store would be enough. 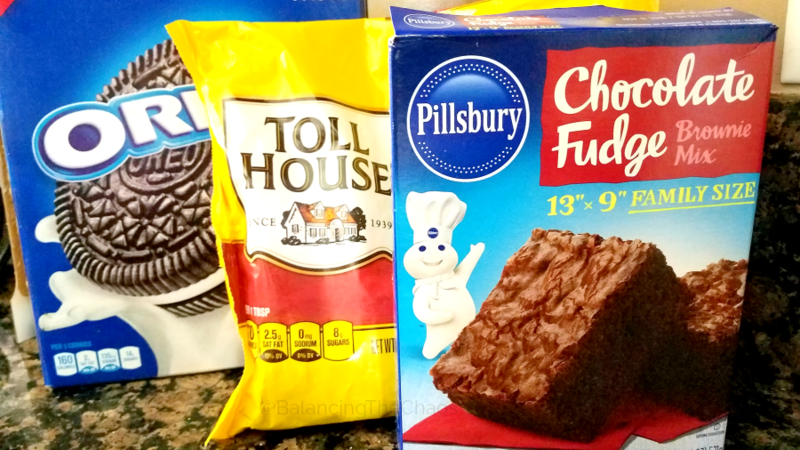 We also had Pillsbury Chocolate Fudge Brownie Mix and a partial bag of Nestle Toll House Semi-Sweet Morsels. Since I had other things to do to get ready for our family dinner, I wanted this dessert to be quick and simple. Started with a greased 13 x 9 metal pan. )TIP: I recommend using Crisco and All purpose flower because just using a spray wasn’t enough to keep my brownies from sticking. 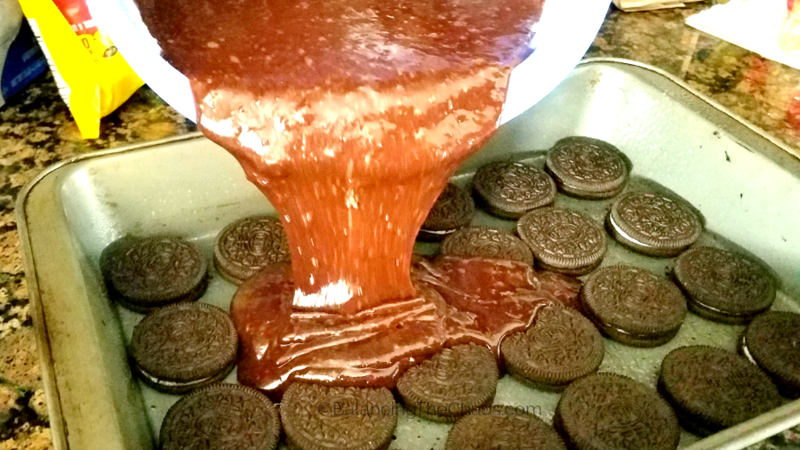 Once the pan was ready, I placed Oreo cookies in the pan (as shown below). Then I mixed the brownie mix as directed with two eggs, 2/3 cup of vegetable oil and 1/4 cup of water. 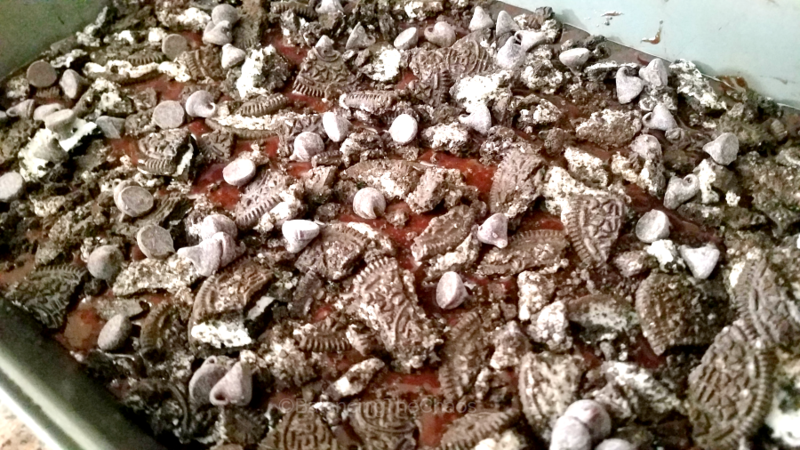 Once the batter was ready, I gently poured it over the Oreo cookies, making sure that each cookie was evenly covered. 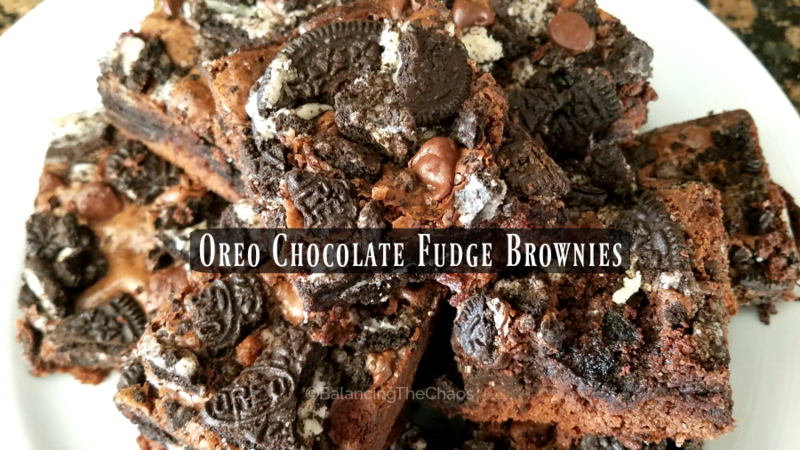 Verdict on the Oreo Chocolate Fudge Brownies: my family loved them. We plated them with vanilla bean ice cream and a little bit of chocolate syrup. Happy Baking!